•The only way to no if you have a termite infestation in your home is to do a termite inspection in Melbourne. If we do a full pest inspection and that will indicate how far they have eaten into your timber. •Do not be fooled when buying a new house that has had a fresh coat of paint and were the termite damage has been patched up. We can indicate with in minutes if the house has been infected or been treated in the past. •Live Termites damage homes beyond that are beyond repair. 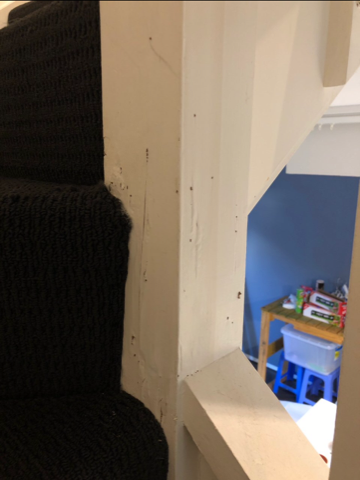 And can devastate families property and leave home owners with an expense for damages that many can’t afford to fix, so seek some professional advice by a expert in Melbourne. •Termite treatment and termite protection jobs are done by rapid pest control Melbourne. 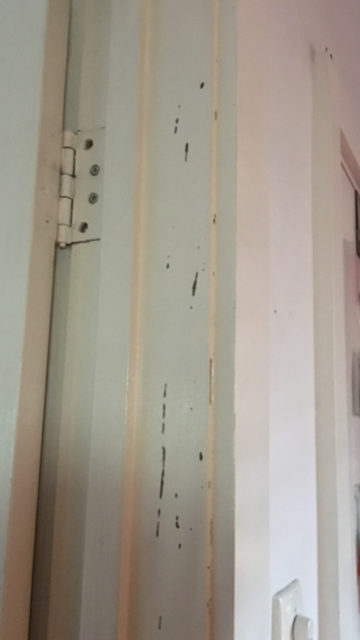 We do all types of works from a small termite certificate of compliance protection AS3660.1 2014, we also carry out large termite pre treatments AS3660.2 2000. All termite certificates are given after the job is completed. •Here is a list of SIGNS OF TERMITES from 1 - 10 on the bottom. 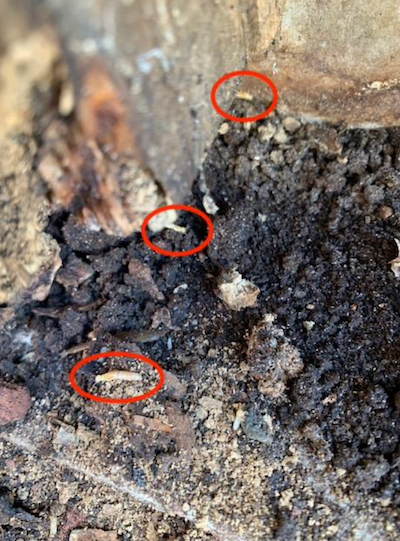 Drywood termites build their colonies within timber construction on which they feed on. They can be found inside of cavity walls. 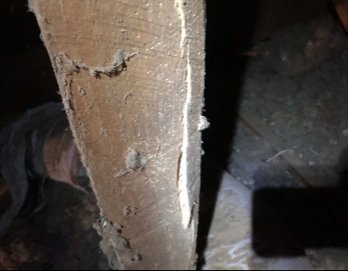 Drywood termite invasion may only become probable after a colony has tunneled so broad into an beset item that the exterior cracks and the muddle-like tunnels below become noticeable. 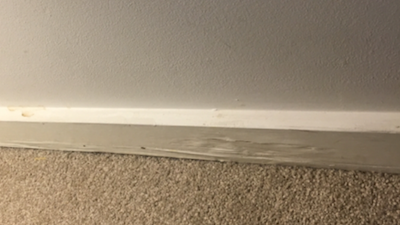 Should this occur on new floorboards or plaster walls or and tiber cladding, contact a rapid pest control Melbourne to discuss the harshness of your problem, as well as extermination prices. 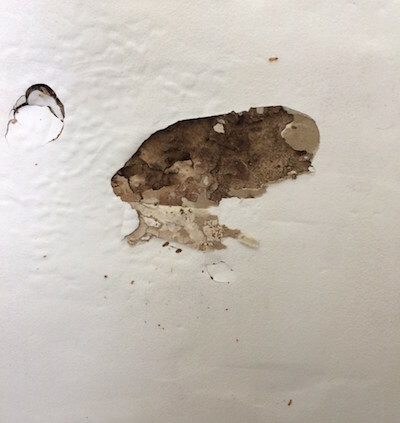 Indeed, termites really don't like to eat drywall "plaster" or paint. They do, however like the outside paper and glue that covers the plaster board. Specially if it gets moist from some sort of inundation. 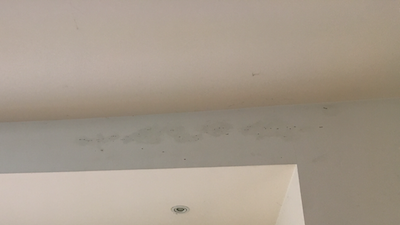 When the wall becomes moist, the paper soaks up water and draws them in. 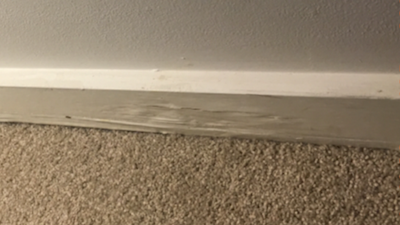 They will tunnel between your plaster and paints surface and the drywall as they damage their way crosswise along the the wall. That’s right, termites tend to chew with their mouths wide open, and they do it 24/7, all day long, they never sleep. 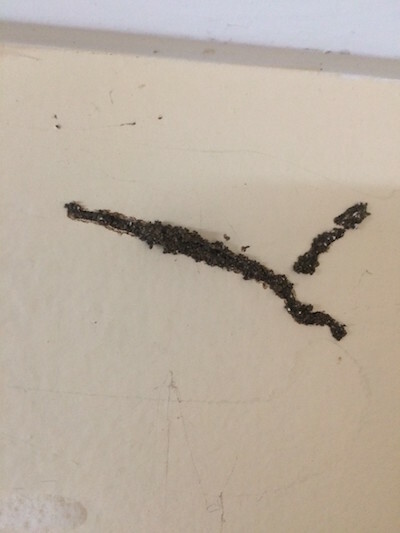 When accelerated by positive vibrations, termites get louder and more destructive with their chewing, which they make a like clicking noise, or someone taping on the wall all day long. 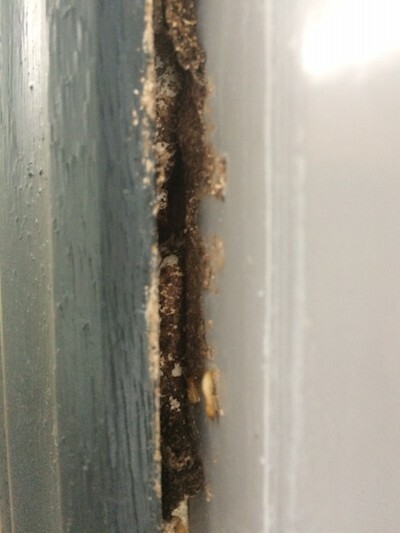 If you put your ear to the wall and hear tap tap, it is time for a termite inspection. 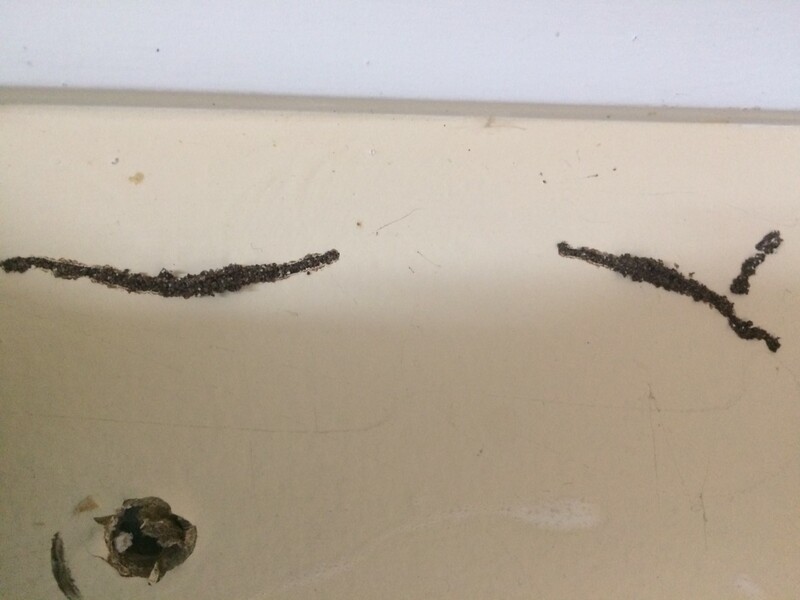 Termites are a living bug which eat and discharge, and their droppings, we call it frass, feature wood-coloured pellets. 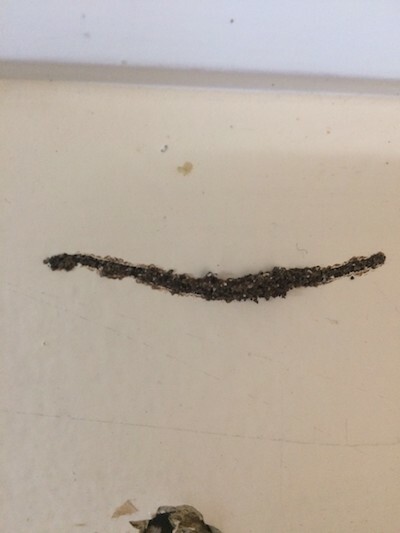 If you do find these small droppings in your house, we recommend on calling us for a insection. 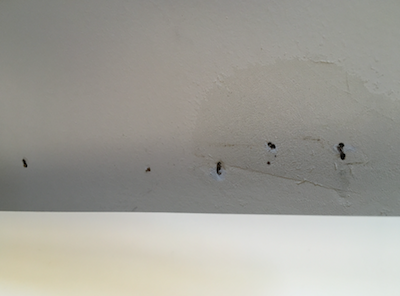 The most obvious sign you have a termite infestation is the small insects flying in or around your house. 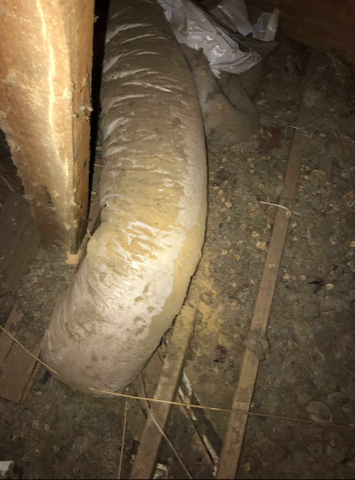 A few may not guarantee a colony of termites eating away at your home’s infrastructure, but frequent sightings can call for a professional, especially since they rarely fly far from their nest. 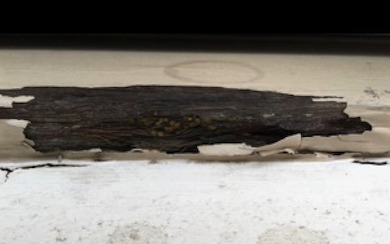 Similarly to the bubbling paint, moisture from termites can cause wood frames to expand. 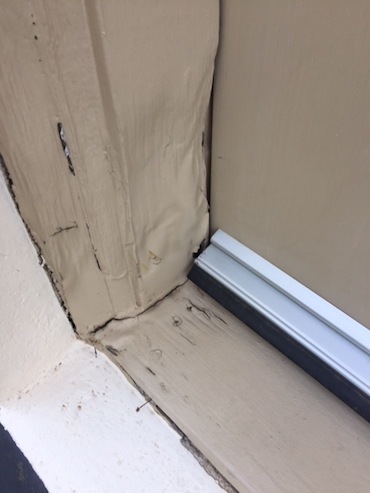 If you’re struggling to open a window in your home, termites may be the cause. 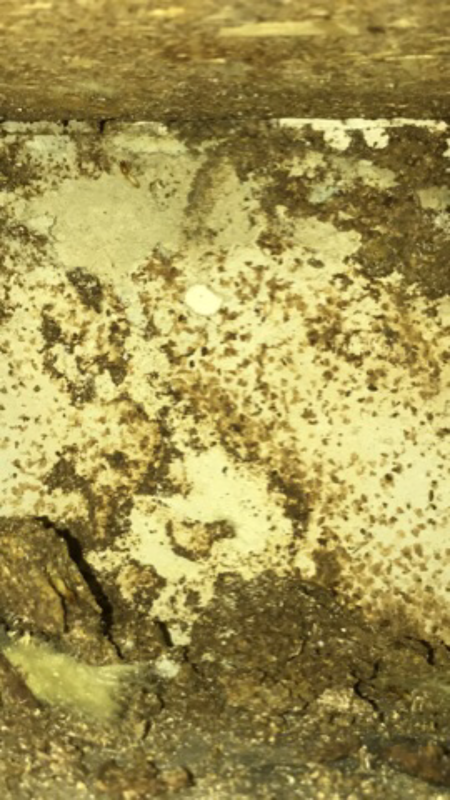 Bubbling paint indicates a water problem, and termites produce moisture when tunnelling and eating. 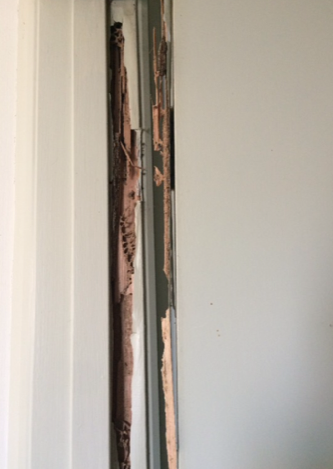 Look around for peeling paint on wood panels, which can be a sign of a termite infestation. Termites live beneath the ground, making tunnels to sources of food. These mud tubes leave uneven patterns made from mud-like tubes in your house walls. Although they are difficult to see and find, you can find them under your house or in up your cavity wall. 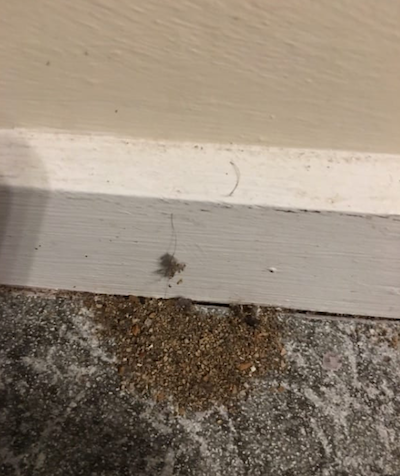 Termites live off of the little amount of moisture produced in the timber and when they release droppings they remove as much moisture from it as available, emerge in hard pellet like feces. To control a clean counter, termites create holes to kick out their misuse. 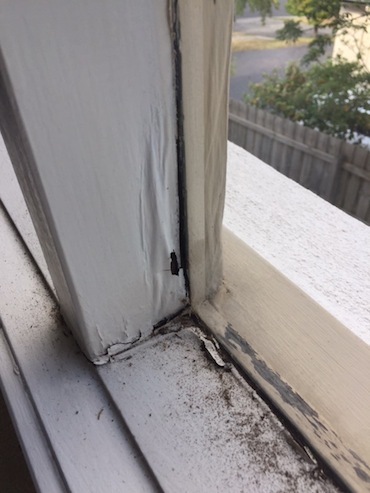 This waste, now out on tour window ledge, can quickly be seen and noted as a sign of termites in your home in Melbourne. Young female and male termites waste from their nests to clone, dropping their wings in the process. 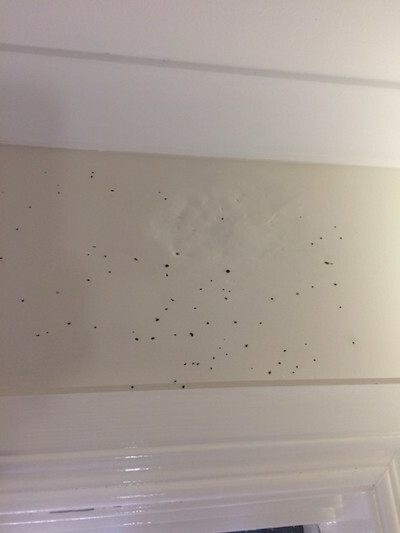 Swarmers fly away to start new termite colonies, including in your homes, during the generating stages. They have white/see-through wings and can identify a termite problem early if you find them in your home. We are proudly affiliated with the following eco-friendly pest & termite control related products and companies.